Water drips from the tree branches after a gentle rainfall. The sun is getting hot as the clouds disappear. 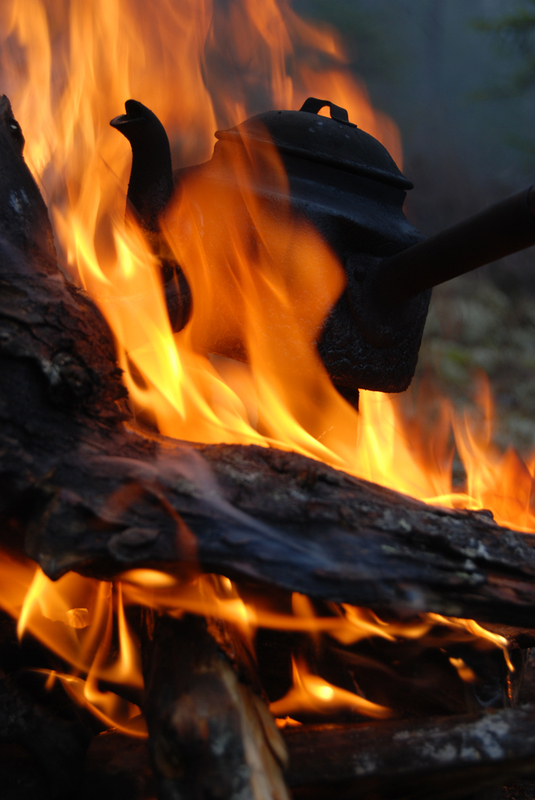 We stop in a glade and light a fire to cook lunch. After eating, we lean back on the reindeer skins and rest for a while, before continuing to discover the natural world and our place in it. The rich forests and mountains of northern Jämtland provide excellent opportunities for relaxation and coming into contact with nature, yourself and your surroundings. This is a place in which to be in the moment, with no risk of disruption from telephones, email and meetings. Stillness and relaxation are key.